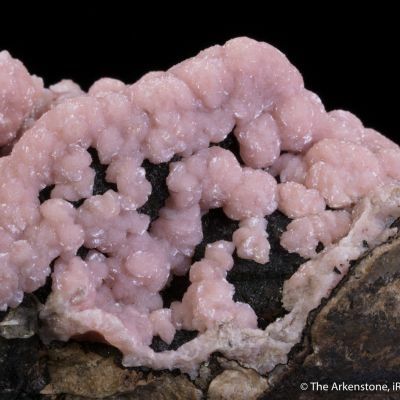 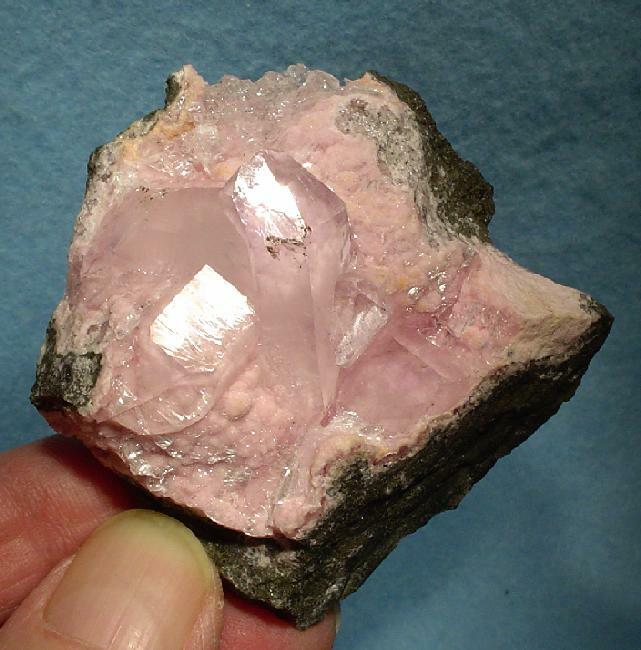 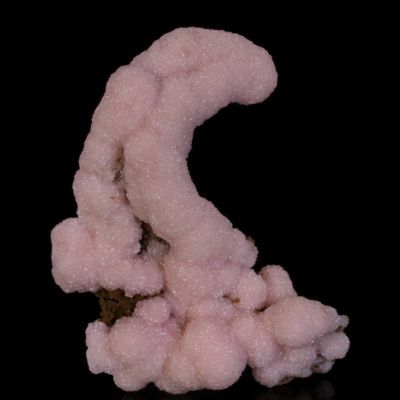 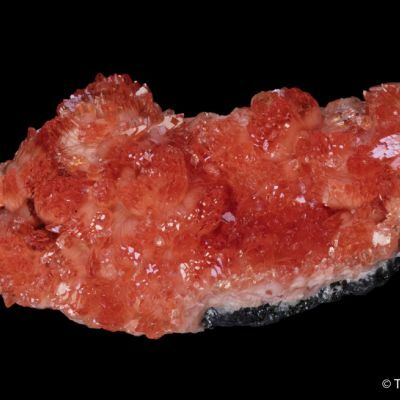 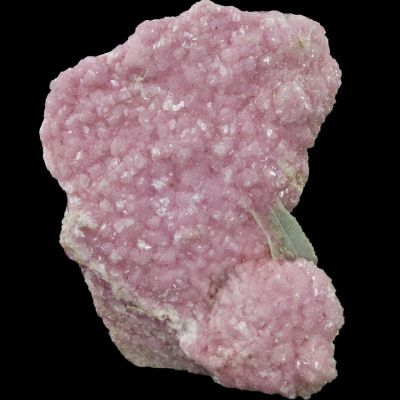 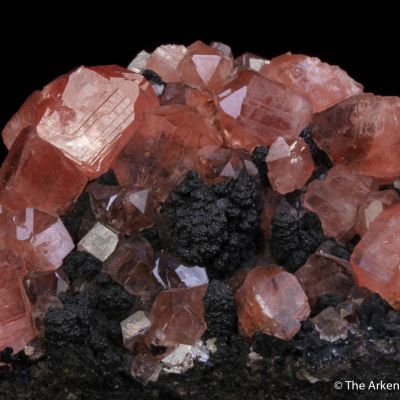 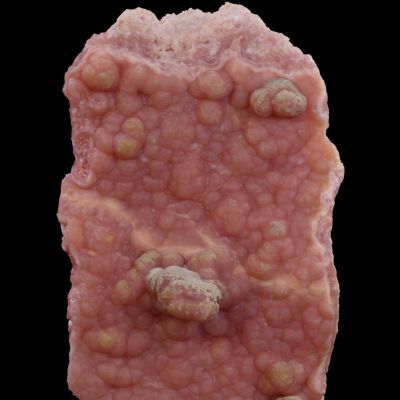 Water-clear, colorless, sharp, glassy quartz crystals to 3.6 cm are beautifully tinted pink by underlying botryoidal rhodochrosite on this striking combination specimen from recent finds at the San Antonio Mine at Santa Eulalia. 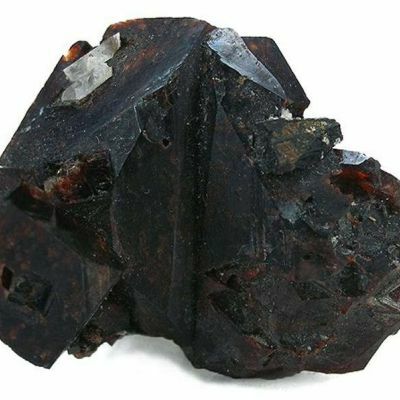 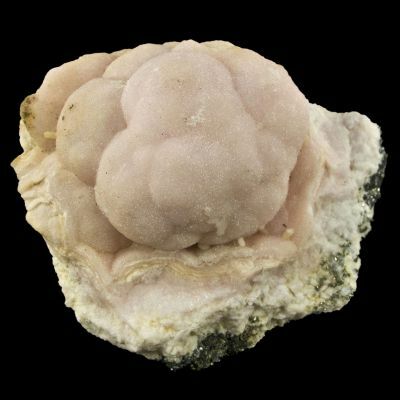 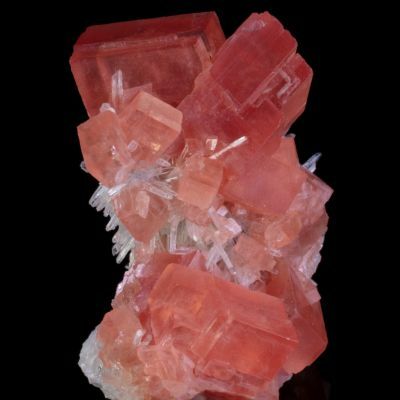 A stair-step cluster of blocky selenite crystals graces the top of the specimen. 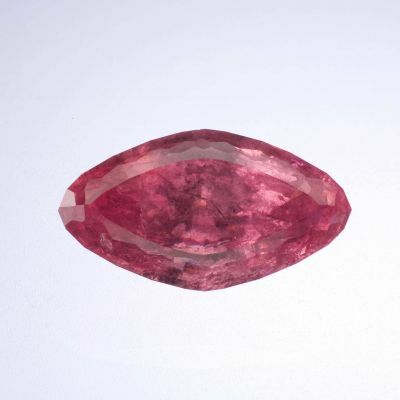 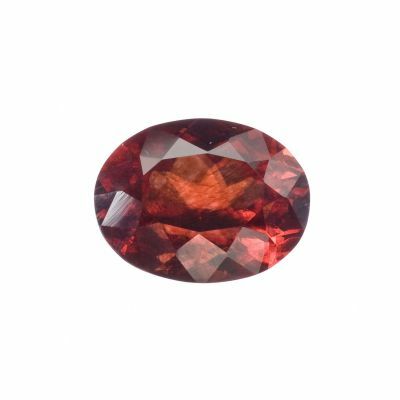 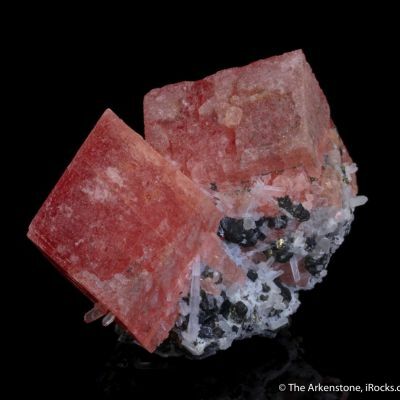 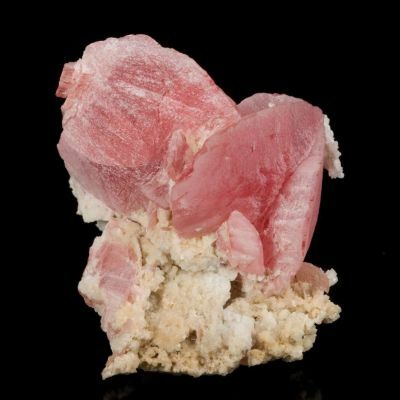 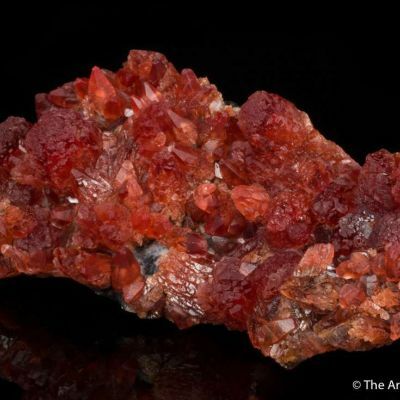 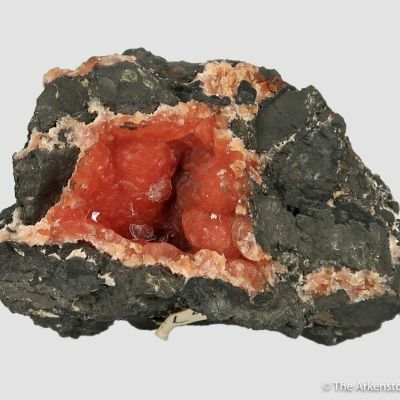 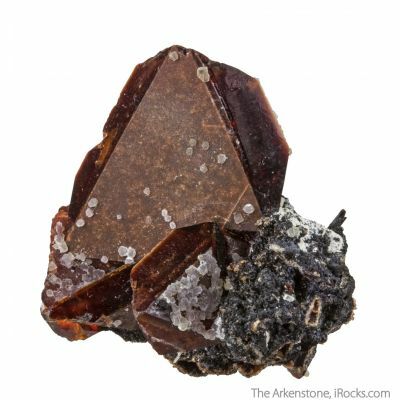 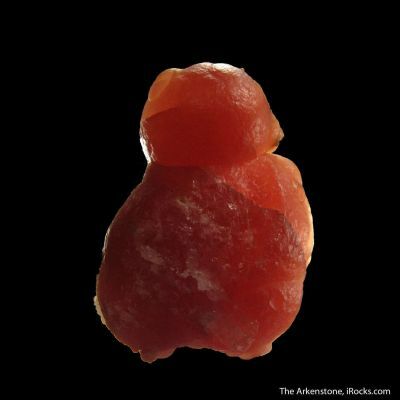 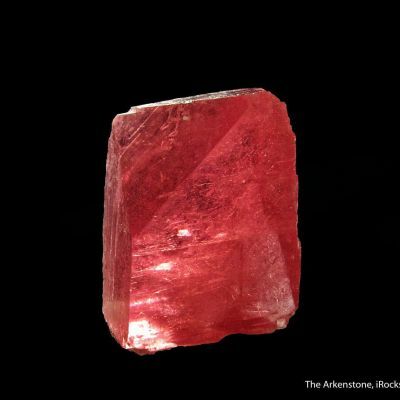 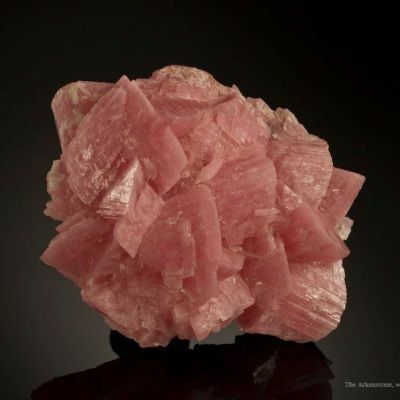 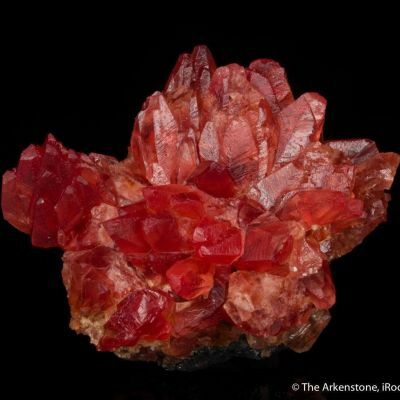 The form of the matrix, placement of the quartz and selenite crystals on the colorful rhodochrosite makes this an aesthetic specimen.